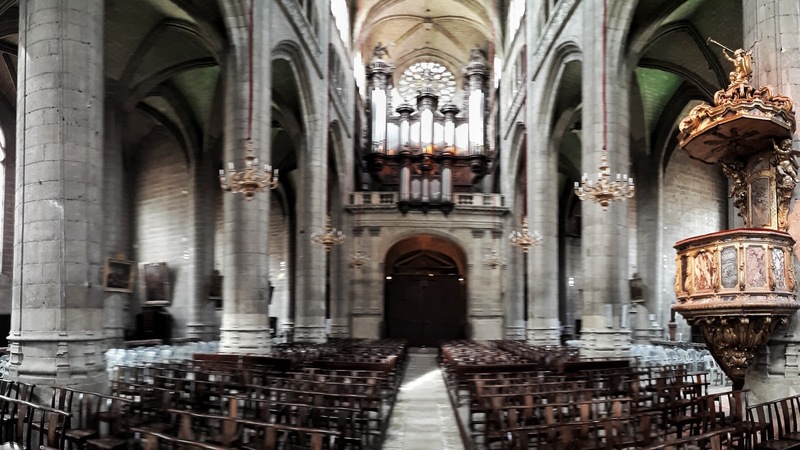 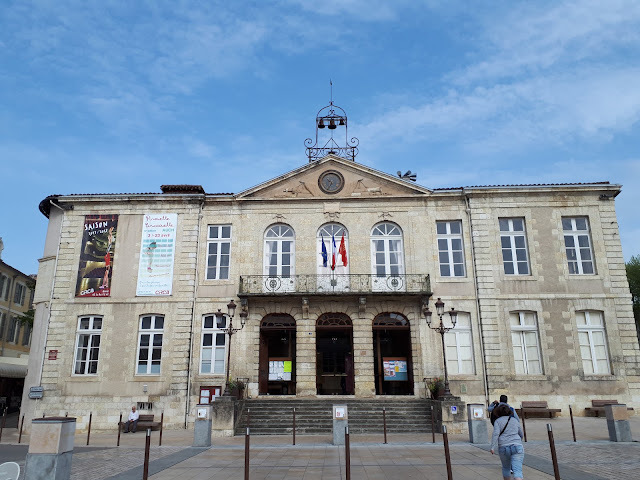 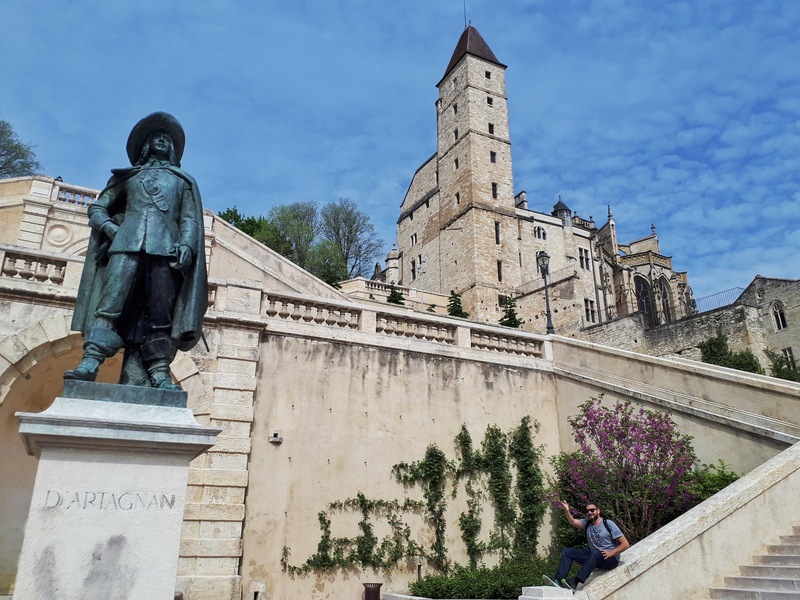 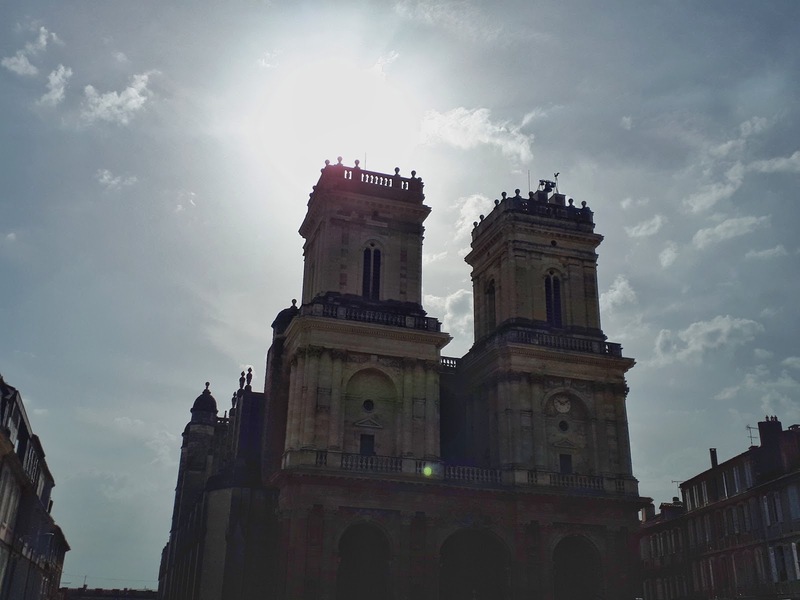 On my road trip around Occitanie Budget Traveller Kash and I made our way to a medieval town called Auch to take on some more Destination Challenges. 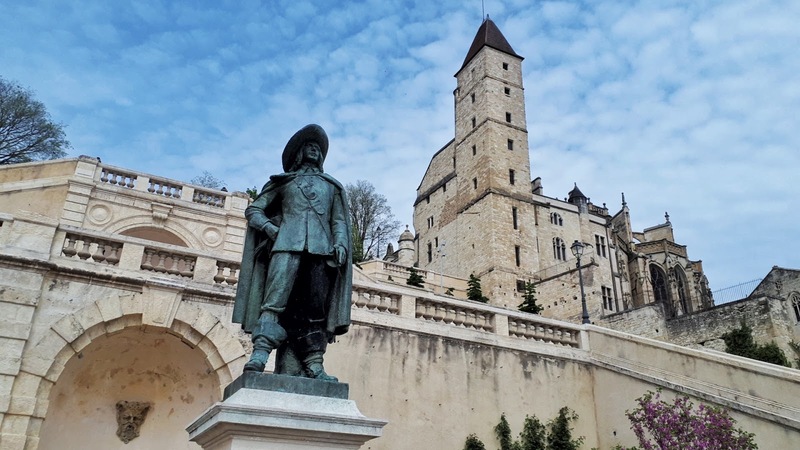 Little did I know that it's the home of world famous leader of the three musketeer, d'Artagnan. 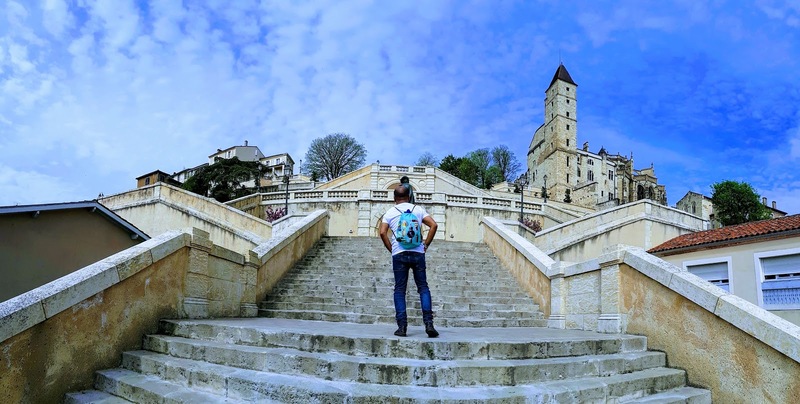 Not only that it's also a city is in love with circus. They actively support innovation in the world of circus via the Circ organisation aka Centre d'innovation et de recherche circassien. 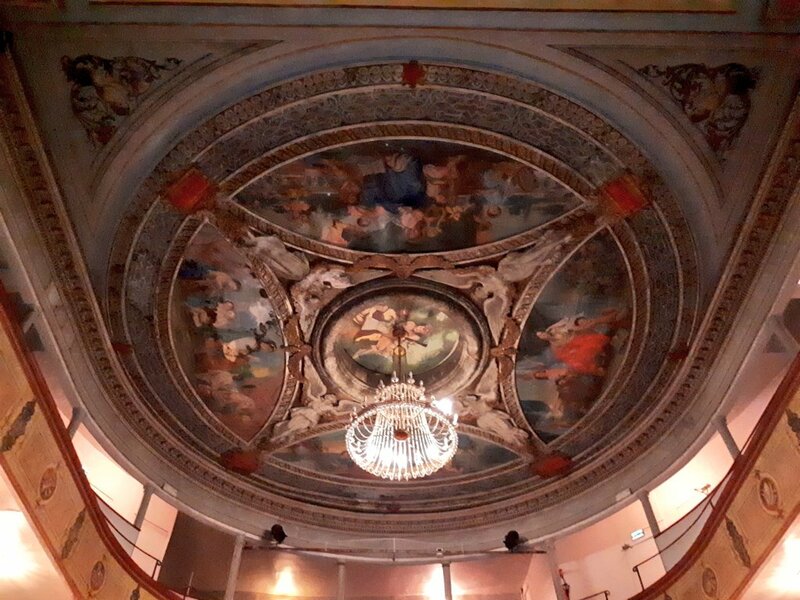 The Hôtel de Ville d'Auch harbours a wonderful theater with an iconic mural on its ceiling portraying 4 art forms. 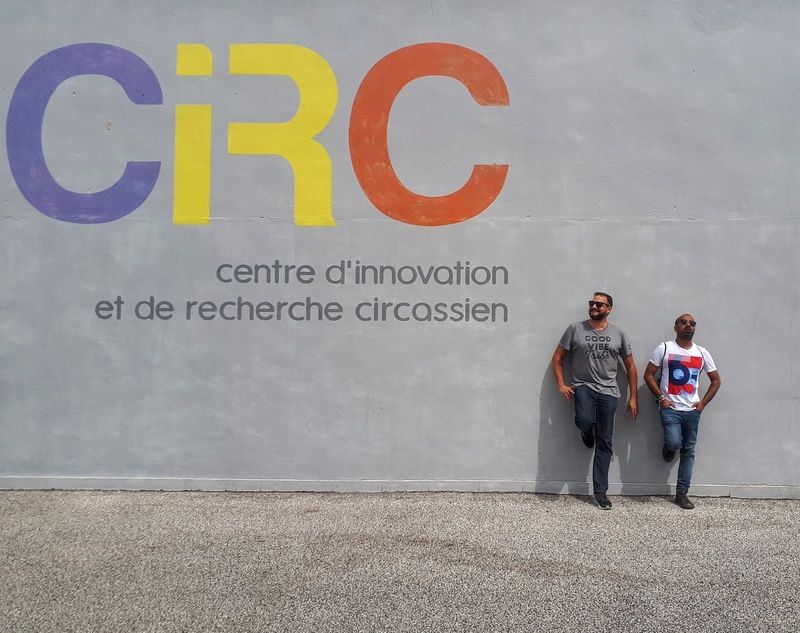 CIRC is short for 'Centre d'innovation et de recherche circassien' translated that is Center of innovation and research in circus. Basically it's a center that facilitates circus artists stay and brings them together to share knowledge and come up with new ideas. 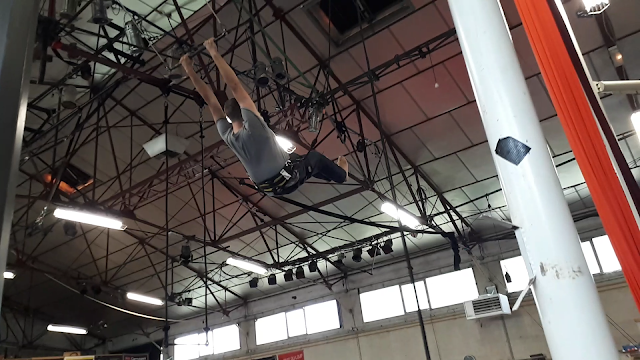 They even have an all equipped training hall where the circus artists can practice their new ideas. 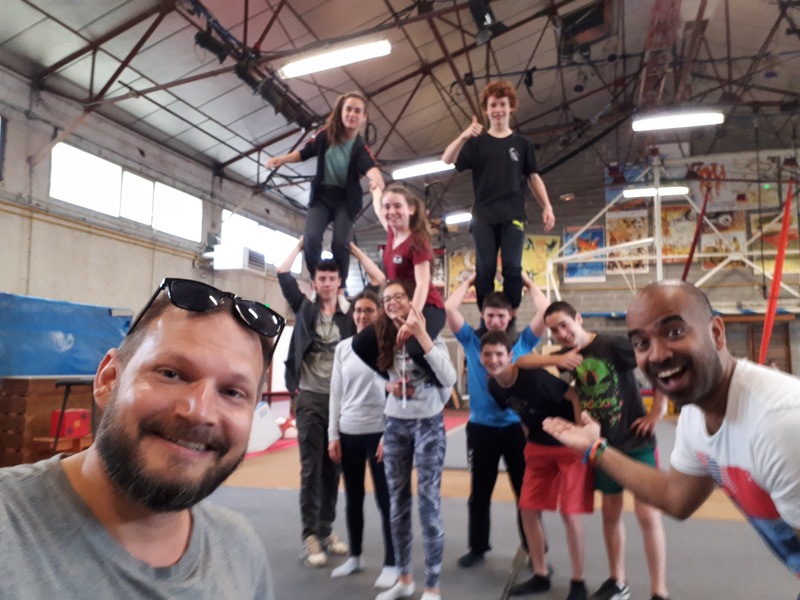 Kash and I where invited by this circus school in Auch and before we knew it we were swinging on the trapeze :-) The kids of the school were the real stars though. 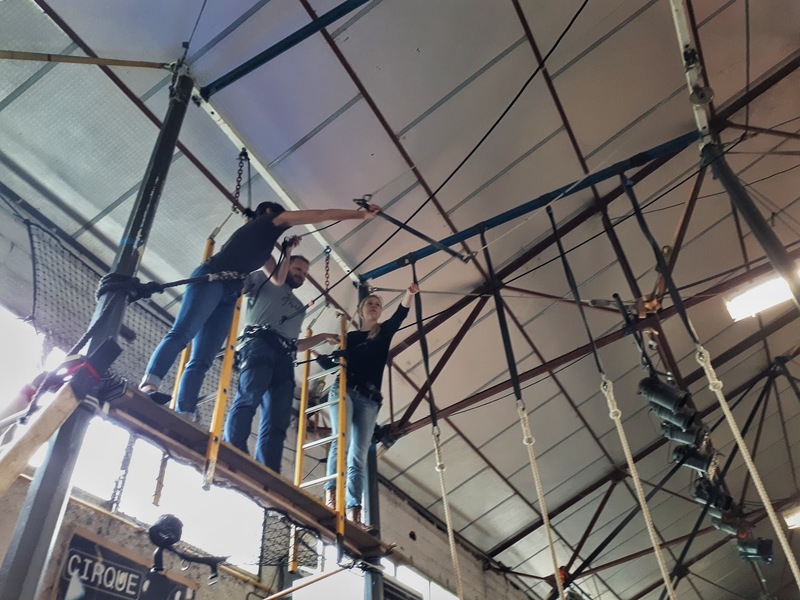 They challenge their fears at every training and have soooo much fun with it. 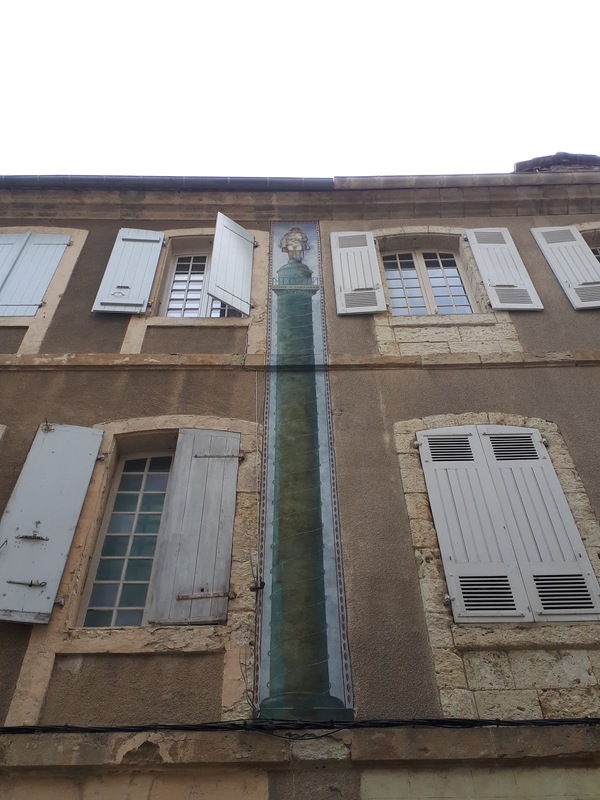 I think that shows in the photo below.